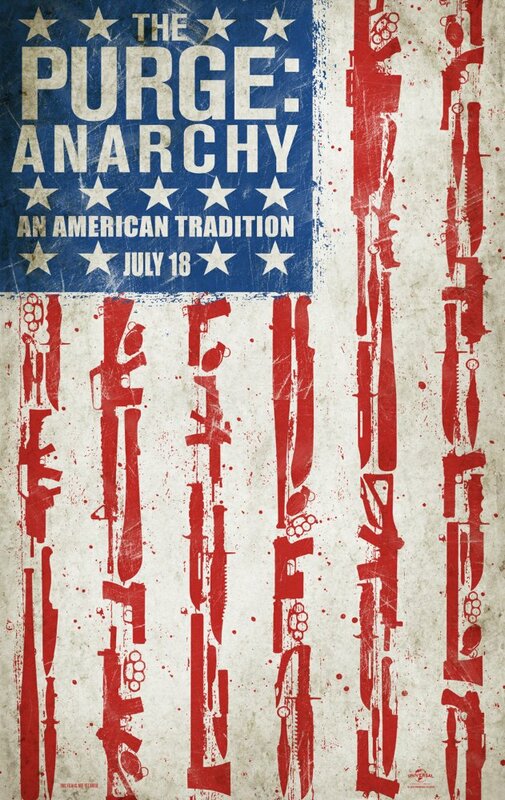 Synopsis – Following an economic collapse and rising social unrest, a political organisation called “The New Founding Fathers of America” (NFFA) are voted into government. The NFAA soon establishes a new totalitarian regime and police state. In a plan to help stabilise American society, the 28th Amendment to the U.S Constitution is ratified. This amendment establishes a 12-hour event known as “The Purge” which would take place from 7:00 pm on March 21st to 7:00 am on the 22nd, wherein all crime including murder becomes legal. The police can’t be called. Hospitals suspend help. It’s one night when the population regulates itself without thought of punishment. On a typical Purge night plagued by violence and an epidemic of crime, one family wrestles with the decision of who they will become when a stranger comes knocking. After an intruder breaks into James Sandin’s (Hawke) gated community during the yearly lockdown, he begins a sequence of events that threatens to tear a family apart. Now, it is up to James, his wife, Mary (Headey), and their kids to make it through the night without turning into the monsters from whom they hide. Three groups of people intertwine and are left stranded in the streets on Purge Night, trying to survive the chaos and violence that occurs. 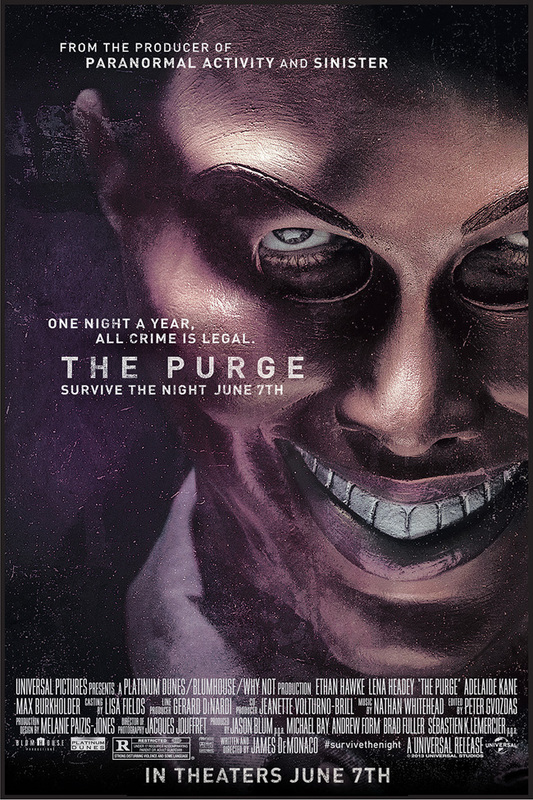 A couple are driving home when their car breaks down just as the annual Purge commences. Meanwhile, a police sergeant takes to the streets to get revenge on the man who killed his son, and a mother and daughter run from their home after assailants destroy it. The five people meet up as they attempt to survive the worst possible night to be on the streets in Los Angeles. Charlie Roan was the only one who survived a horrific purge game that killed her family and vowed to one day eliminate the night for good. 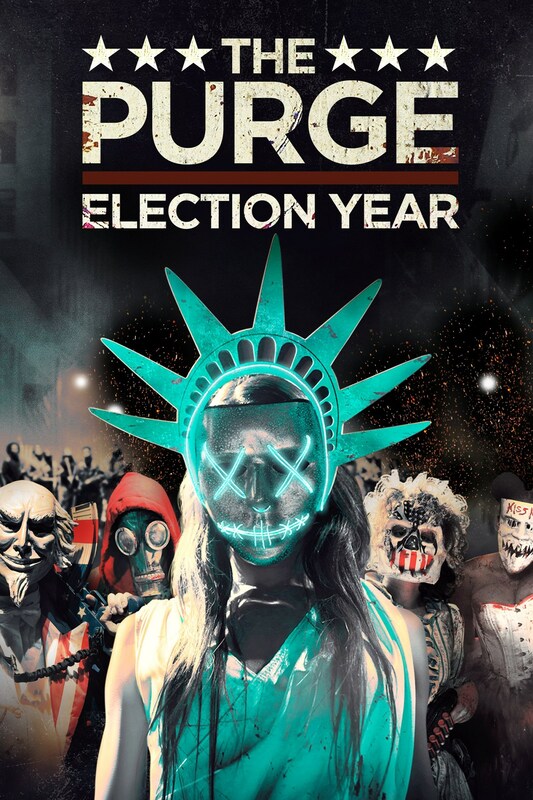 15 years later, she gets her chance by becoming a candidate for the American election and promising the US that the purge will come to an end. 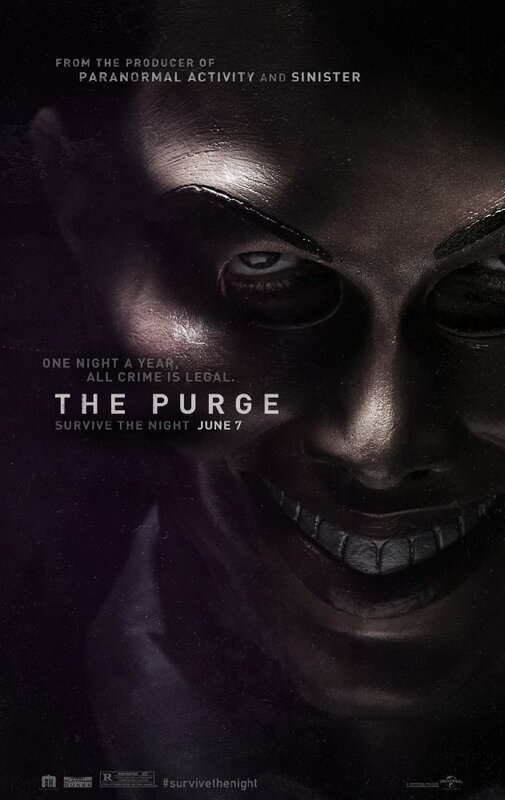 The New Founding Fathers of America see this as a real threat and plan to use the purge to assassinate Charlie. Police sergeant Leo Barnes (Grillo) is the senator’s head of security and it is his mission to protect her from the night so she can live till the election is over. A surprisingly good trilogy of thrillers that tries to take on a different genre with each chapter. 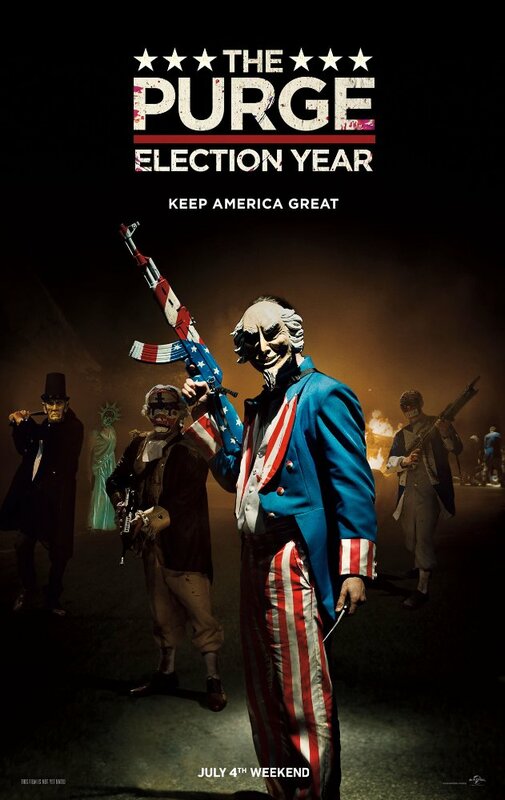 The ‘home invasion thriller’, the ‘journey through hell thriller’ and the ‘political and social commentary thriller’ each deliver on their mission with style and with a prequel in the works and rumours of a TV series, The Purge doesn’t look like ending any time soon.